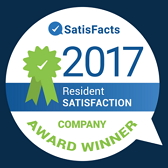 With award-winning customer service and wonderful amenities, on-post/base housing offers you the quality of life and peace of mind you deserve. Plus, living on a military installation helps you save money with lawn care and most utilities included in your monthly rent. Reward yourself with more time for the things that matter. Start your on-post/base housing application online today. As always, with Corvias, there are no credit checks, deposits or application fees required for active-duty service members, so don't delay. Active-duty Service Members are eligible to apply for housing upon receipt of current PCS orders. Service Members may be placed on the housing list prior to reporting to the installation. Retired Military, Retired Civil Service Employees, Current Federal/Department of Defense (DoD) Civilian Employees, Department of Defense Contractors, National Security Agency (NSA) Contractors, Gold Star Spouses, Guard/Reservists and Single/Unaccompanied Service Members are eligible to apply for on-post/base housing at select installations as well. Don't wait! Begin your on-post/base housing application today! Other supporting documents may be required on a case-by-case basis.